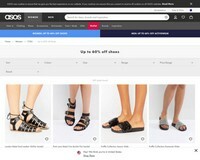 Shop at ASOS Australia via Shopcred and you can save money with our ASOS Australia deals, coupon codes and offers. Plus earn rewards on eligible purchases which are redeemable as cash and join our conversations. Shopcred is the modern place to Shop. Nike, adidas, Fila, Puma, Reebok, Monki… have we got your attention? A new dress? Oh, yes. Shop printed sun dresses, silky shifts and breezy midis made for Sunday brunching – all up to 60% off. Weekend, made. Want 15% off full price? Um, YES. We're feeling the love this Mardi Gras, and we want to share it with you. Just enter 'YESYESYES' at checkout. Weekends are all about treats, so we're serving up a sweet 50% off 500 buys from our top brands – enjoy! 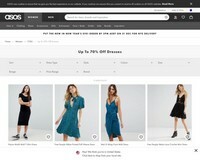 Awesome deal at ASOS Australia where you can get 50% off a huge range of clothing. Skinny jeans are as low as $31. Discover the latest Spring/Summer trends at ASOS. Shop our trend guide and refresh your wardrobe with midi skirts, dresses and sandals. 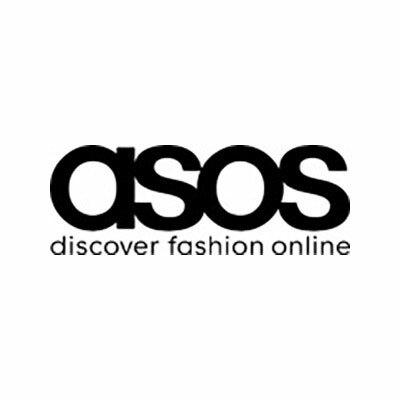 Up to 70% OFF @ ASOS | Limited time while stocks last. 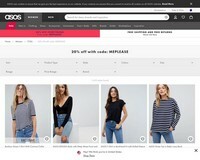 An on trend and cheap high fashion new online store called As Seen On Screen was opened by Quentin Griffiths & Nick Robertson in the UK in June 2000.The name was eventually shortened to ASOS from 2008 onwards. 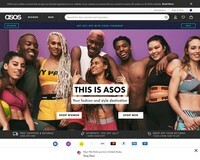 80000 branded products are stocked and they ship to over 191 countries from the UK ASOS also began stocking its own label which proving to be highly popular across the demographics. 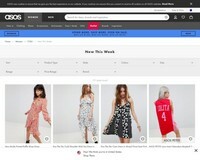 Seeing how popular the US store was with Australian customers, ASOS.com Australia opened in 2011. 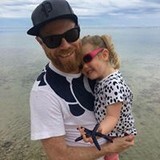 Australians get quick and free 2 day shipping, sizes localised and prices in the Australian dollar (AUD). Localised promos and sales were part of their launch and ongoing campaign including expanding their range to 90000 products and offering local discounts. Many top Australian fashion designers have begun to work with ASOS Australia to offer local Aussie brands. Select one of Shopcred’s a deals, copy the coupon and then click through to the store via Shopcred. Find the items you’d like to buy and then click on the ‘ADD SELECTED ITEMS TO SHOPPING BAG’ button. Create a free account or if you have an account, sign in. Your discount should now be applied to your cart. Then just Click ‘Buy Now’ to finalise payment. 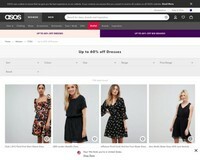 If you’re expecting then ASOS is a great place to purchase you maternity wear with styles by Dorina, Maya Maternity, Emma Jane and Gabe Maternity. Suits, skirts and dresses tailored to your fit with styles by Little Mistress, PrettyLittleThing, New Look and Jaded. Oversized sweats and slouchy joggers by Hunkemoller, ASOS Lounge, Dickies and Lazy Days. A large range of sizes from 18 - 32 including styles by Boohhoo, River ISland and Puma. 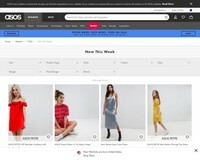 ASOS AU have 2 Days Express Shipping to Metro areas in Australia. To get this offer you need to spend over $125 or become a Premier customer for $39 a year. Free Standard Shipping is available for those who spend over $40, if you wpend under that you’ll have to pay $5. 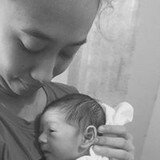 It’ll be delivered within 5 working days to metro areas and within 7 working days to the rest of Aus. Delivery is only on weekdays.Note: Subject to placing your order before specific cut-off times. Details available in checkout. You can get your label and returns form by completing the returns process in the My Account section– just click the create return link and sign in to get started.